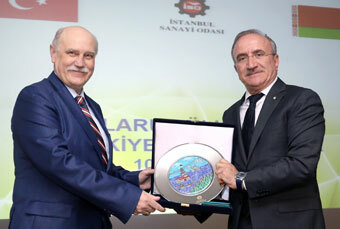 Istanbul Chamber of Industry (ISO) organized the “Belarus Country Day: Opportunities for Turkey” event to assess investment and cooperation opportunities between Turkey and Belarus. 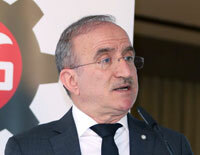 Several industrialists and business people attended the event held at the InterContinental Hotel. The new opportunities Belarus presents for the Turkish business world were tackled elaborately during the speeches and panels which lasted throughout the day. Hosting the meeting, Sadik Ayhan Saruhan, Treasurer of the Board of Directors of ISO, said that Turkey was the first country to recognize the independence of Belarus. Stating that the political relations between the two countries continued at a high level since then, Saruhan reminded the last official visit of President Recep Tayyip Erdogan to Belarus on November 11, 2016. Saruhan emphasized that business people from both countries convened to discuss trade and investment opportunities thanks to the business forum held during the visit where the President was accompanied by the Ministers of Foreign Affairs and Economy. Stating that the trade volume between Turkey and Belarus was realized at around 460 million USD in 2016, Saruhan said that this figure was far from the existing potential. During his opening speech, Dr. Vladimir Mironovich, Consul General of Belarus in Istanbul gave information about the economy of Belarus. 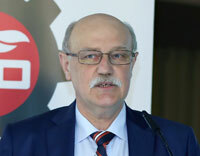 Underlining the strengths of Belarus in the machinery, manufacturing, chemistry, petrochemistry, forest products, lumber, and IT sectors, Mironovich said that they were also ambitious in agriculture products and that they were the largest exporter of dairy products globally. Remarking that they had high volumes of exports in the IT industry, Mironovich stressed that they ranked the second after India in terms of per capita export value of IT products. Mironovich expressed that they had no infrastructure in yarn or fabric production and that they welcome investments in that area. 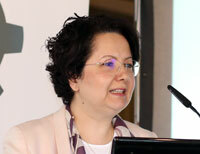 Speaking at the panel about the Cooperation and Investment Opportunities in the Belarus Market, Dilek Dogruer, expert from the Belarus Country Desk at the Ministry of Economy of the Republic of Turkey stated that the foreign trade volume between the two countries showed an upward trend. Dogruer noted that while Turkey exported fruits and vegetables, clothing products, motorized vehicle components and machinery to Belarus, Belarus exported organic and chemical fertilizers, textile fibers and tree products to Turkey. Remarking that Belarus is located on important highways and railways enjoying a central location, Dogruer said that Turkey holds a 0.4% share in Belarus exports and 2.6% share in its imports. She added that doing business with Belarus is gradually facilitated and that the visa requirement between the two countries was lifted on June 1, 2014. 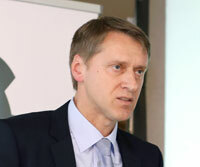 During his presentation, Dmitry Belobrodsky, Foreign Economic Relations Consultant at the Belarus Ministry of Foreign Affairs stated that the largest foreign trade partner of Belarus is Russia, followed by Ukraine, England, Germany, Netherlands, Lithuania, Poland, and China. He noted the recession in Belarus economy in the past year due to the global decline in oil products, steel, and lumber prices. He added that the figures from the first three months of this year signal the end of the decline. Belobrodsky said that Turkey’s export to Belarus is four times more than the exports from Belarus to Turkey, and that they desired to close the gap through further collaboration. He also noted that President Recep Tayyip Erdogan had set a goal to enhance the trade volumes between the two countries. Pointing that there were three main cluster countries targeted for exports, Belobrodsky noted that these were Eurasian Economic Union, the EU, and overseas countries. Belobrodsky stated that the President of the working group that was set up in the WTO and included Belarus was Kemal Madenoglu, a Turk, and thanked Turkey and Madenoglu for their support of Belarus. Anna Grigoryeva, President of the Investor Services Office at the Belarus Investment and Privatization Agency informed the participants about the investment conditions in Belarus. Grigoryeva emphasized that it was easier to do business in Belarus and that the government held a very clear stance vis-à-vis foreign investors. She shared examples of facilities provided for foreign investors in many special regions as an indicator of that stance. Grigoryeva stated that in free economic zones, there was a tax exemption of 10 years and real estate exemption of 5 years for investments above 500 million euros and that the land was for free. 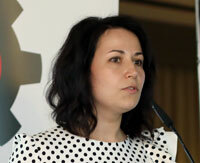 Explaining that there were similar exemptions for small cities, industry parks and techno parks, Grigoryeva asserted that Belarus presented the image of a country with a closed structure in the outside world yet she noted that this did not represent the real picture. Grigoryeva added that Belarus focused on quality rather than on quantity when it came to foreign investors. During the panel titled “Experiences of Turkish Companies in the Belarus Market”, Chairman of Board of Burç Contracting Engineering and Trade Company, Sefa Gomdeniz, Deputy Chairman of Board of Emsaş Construction Tourism Trade and Industry Company, Mehmet Fatih Arslan, International Business Development Director of Turkcell Company, Mustafa Kopuk, and Ketenci Legal Bureau representative Selçuk Erdogan shared their experiences in the Belarus market. The panel was followed by a Q&A session.